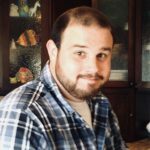 Christopher J. Pickard, 32, a resident of Lindenhurst, IL, passed away Saturday, April 28, 2018. He was born May 10, 1985 in Lake Forest to Kelly Pickard and Scott Buschick. Chris loved the Chicago Bears and practical jokes. He loved spending time with his family, especially his daughters. Chris is survived by his parents, Kelly Pickard and Scott Buschick, his daughters Mackenzie and Jaida Pickard, the mother of his children Jody English, his brother Nicholas Pickard, his grandparents Ed and Lola Buschick, his uncle Jason (Stephanie) Pickard, and his cousins Aric, Kody, Sean, and Lexi Pickard. He was preceded in death by his grandparents Sandy and Don Mobley. A visitation and memorial service is scheduled for Friday, May 4, 2018 from 5:00pm until 8:00pm with a memorial service commencing at 8:00pm at Strang Funeral Chapel & Crematorium 410 E. Belvidere Rd. Grayslake, IL 60030. Interment will be held privately. For more information on services, call (847) 223-8122 or log onto www.strangfuneral.org. Mark Frazier Anderson, 66, a resident of Fox Lake, passed away Friday, April 27, 2018 at Advocate Condell Medical Center in Libertyville, IL. He was born November 3, 1951 in Waukegan, IL to Betty and Oliver Anderson Jr. Mark attended Grayslake Grade School, Grayslake High School and College of Lake County. He worked for many years in the welding and sign industry. Mark is survived by mother Betty Frazier Anderson, his daughter Holly (Brandon) Sekularac, his son Brian Mark Anderson, his brothers Kurt Anderson of Colorado and Paul Anderson of Oklahoma, his ex-wife Kathy Anderson, his cousin Nicholas Lynn, his nephews Trevor and Cody Anderson, and his niece Sydney Anderson. He was preceded in death by his father Oliver Anderson Jr., his grandparents Clifford and Flossi Frazier and Oliver Sr. and Stella Anderson, and his aunt Leila Lynn. A visitation is scheduled for Tuesday, May 1, 2018 from 4:00pm until 7:00pm with a memorial service commencing at 7:00pm at Strang Funeral Chapel & Crematorium 410 E. Belvidere Rd. Grayslake, IL 60030. Interment will be held privately. In lieu of flowers, memorials may be made to the Grayslake Historical Society PO Box 185 Grayslake, IL 60030. For more information on services, call (847) 223-8122 or log onto www.strangfuneral.org. Sean Michael McBride, 29, a resident of Lakemoor, IL, passed away Monday, April 23, 2018. He was born October 13, 1988 in McHenry, IL to Ellen M. Files and Tim D. McBride. Sean loved and lived for football and the love of his son and brothers. He had worked for the last year at Stack-On Products Warehouse in McHenry. Sean is survived by his son Aiden McBride of Louisville, KY, his brothers Jacob S. Files and Joshua A. Files of Louisville, KY, his mother Ellen (Don) Files, his father Tim McBride, his girlfriend Catey Dingman, his grandmother Beverly Lynn and his grandparents Frank Hamill, John and Lorelie Lynn, and Linda Sutterland. A visitation is scheduled for Saturday, April 28, 2018 from 2:00pm until 6:00pm with a funeral service commencing at 6:00pm at Strang Funeral Chapel & Crematorium 410 E. Belvidere Rd. Grayslake, IL 60030. Interment will be held privately. In lieu of flowers, memorials may be made to a GoFundMe account for Aiden’s College fund gf.me/u/h9wqxa. For more information on services, call (847) 223-8122 or log onto www.strangfuneral.org. Raymond Nackoney, age 74, passed away on April 19, 2018. Beloved husband of Patricia (nee Balch); loving father of Lauren, Cristin (Auggie) Negele, David and Donald; son of the late Walter and Genevieve Nackoney; brother of Denny (Judy) Nackoney and Ruth (Bob) McCullough; brother-in-law of George (Allyson) Balch, the late Robert Balch, Bonnie Balch, Mary Ann (Lee) Erb; and loving uncle to many nieces and a nephew. Born in Philadelphia on June 16, 1943. Graduated from University of Pennsylvania with a BA in Mathematical Physics and University of Chicago with a PhD in Astrophysics. Associate Professor at Loyola University Chicago for his career. He had an insatiable intellect and a love of the outdoors. Most of all, he cherished his time with family. Friends of the family may visit Friday April 27, 2018 from 4:00pm until 7:00 pm at STRANG FUNERAL CHAPEL & CREMATORIUM, 410 E. Belvidere Rd., Grayslake, IL 60030. The visitation will continue on Saturday April 28, 2018 from 10:00am until the time of the funeral mass at 11:00am at St. Paul the Apostle Church 6401 Gages Lake Rd. Gurnee, IL. Flowers are welcome; donations may be sent to the Les Turner ALS Foundation. Julian (Jack) Hale passed away peacefully on Friday, April 20, 2018 at Northwestern Hospital in Lake Forest, IL following a short illness. Jack was born in Pittsburgh, PA on October 4, 1933, but lived most of his life in the Chicagoland area, most recently in Grayslake, IL. He served his country honorably in the United States Navy as a submariner. He was an electrical engineer and principal in a number of small, innovative electronics firms in the area. He is survived by his daughters Julie (Tim) Deal, Barbara (Gary) Engstrom, four grandchildren – Chelsea, Troy, Erik (Sara), Kari (Marc), three great grandchildren – Eliza, Adaline, Trey, a sister- Isabelle Weaver, a niece – Lee and four nephews – Terry, Grant, Scott and Doug. Jack’s cremation will be at the Strang Funeral Home followed by a private, family memorial. In lieu of flowers or donations, gather with family and friends and celebrate life in his honor. Jack would appreciate that. Elizabeth Julie McEnery, 52, a resident of Fox Lake, IL, passed away Sunday, April 15, 2018 at Journeycare in Barrington, IL. She was born September 15, 1965 in Des Plaines, IL to Bruno and Mary Ellen (nee: Niebuhr) Konczyk. Elizabeth loved taking care of children, watching CSI on television, boating, and being outside. Most of all she loved being with her family. Elizabeth is survived by her husband of 3 years, Kevin, whom she wed on December 22, 2014 in Fox Lake, her children Katilyn of Missouri, Rebecca of Missouri, and Scott of Ingleside, and her siblings Mary Ann of Idaho, Gail of Prospect Heights, James “Butch” of Palatine, Mary Jo of Lacrosse, WI, Kari of Antioch, Louann of McHenry, and Joseph of Lincoln, IL. She was preceded in death by her parents and her sister Susan. All funeral arrangements were entrusted to Strang Funeral Chapel & Crematorium 410 E. Belvidere Rd. Grayslake, IL 60030. Interment will be held privately. In lieu of flowers, memorials may be made to Saint Bede Church and School 36455 N. Wilson Rd. Ingleside, IL 60041. For more information on services, call (847) 223-8122 or log onto www.strangfuneral.org. Henrietta Patricia Janzen, 85, of Round Lake passed away peacefully on April 18, 2018 following a fall in her home. She is now with the angels. Henrietta was a wife, mother, grandma, great grandma, sister, aunt, godmother and true friend to many. Although she wasn’t very tall, she had a big heart and a positive happy essence. Henrietta was a collector of clowns and loved a good cribbage game. 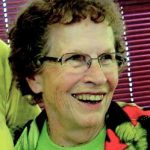 She was a parishioner at St. Joseph’s Parish in Round Lake and an avid Rosary maker. Henrietta was born on July 7th, 1932 in Menominee, Michigan to Maximillian “Mike” Paque and Augusta (Lyman), who preceded her in death. She graduated from Menominee High School and earned a degree in Library Science from Ferris State University. She retired after working for many years as a school librarian with Lake Michigan Catholic Schools in St. Joseph, Michigan. She is survived by her spouse Cornelius Janzen, she was preceded in death by her first husband Douglas Zyskowski of Marquette, Michigan. Henrietta and Doug are also survived by daughters Cheryl Carlson (Jay) and Christine Robbins (Kevin) as well as one son Michael “Mike” Zyskowski (Mary Shearer). In addition, Henrietta had three wonderful grandchildren, Brad, Heather and Joshua as well as one great grandchild Levi. One of 10 children of Mike and Augusta Paque, Henrietta is survived by two sisters Mary Ann Milam and Judy Kramer as well as numerous nieces and nephews. Brothers and sisters preceding her were Henry Paque (her twin), Clarice Bronald, Doris Bergfors, Jane Rapaelian, Arnold Paque, Ralph Paque, Francis Paque. Visitation will take place Sunday April 22, from 4-7 p.m. at the Strang Funeral Chapel & Crematorium, Ltd. A mass of Christian burial will take place at 9:30 a.m. on Monday, April 23, 2018 at St. Joseph’s Parish in Round Lake. 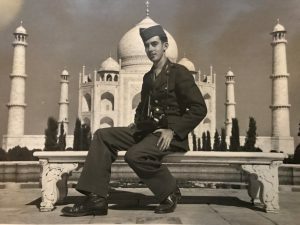 Walter T. Begley, age 96, passed away Tuesday, April 17, 2018 in Grayslake. He was born August 1, 1921 in Alliance, Ohio. 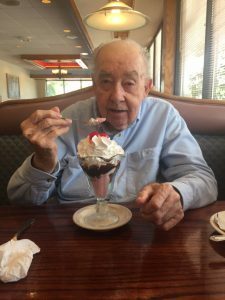 Walter was a member of St. Mary of the Annunciation Church and VFW Post 981. He was a retired four decade employee of R.R. Donnelley. He is survived by his children, Belinda Ann Begley (Bob Hirsch), Christopher (Margaret) Begley, Stephen (Lora) Begley, and Walter (Kathryn) Begley; eleven grandchildren; nine great-grandchildren; and many beloved nieces and nephews. He was preceded in death by his wife, Marie E. Begley, whom he married on November 22, 1947. All services were held privately. Memorial donation may be made to VFW Post 981, PO Box 825, Arlington Heights, IL 60006. Arrangements were entrusted to Strang Funeral Chapel & Crematorium, 410 East Belvidere Road, Grayslake, IL 60030. For information, please call 847-223-8122. 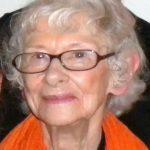 Audrey Margaret Roeske, 91, of Grayslake passed peacefully on April 16, 2018. She was born August 14, 1926 in Chicago’s Kelvyn Park neighborhood to Paul Peter Christensen and Margaret Rosa (Schuele). Audrey was a parishioner of St Philomena, attended Barry School and Kelvyn Park High. Later the family settled in Grayslake where she was a member of the St Gilberts congregation. She is preceded by husbands Thomas R Irvin, married 1950 and Herbert Roeske, married 1971. Also a resident of Bourbon, MO from 1974 until 2003, Audrey is survived by sons Mark Irvin (Mary), Brian Irvin (Margaret), Neil Irvin (Denise) and Kevin Irvin (Colleen). Audrey was blessed with grandchildren Christina, Paul, Analysa, Benjamin, Jeremy, Steven, Zachary, Beth and Thom as well as 5 great-grandchildren. Audrey was a wonderful Mother, Grandmother, Great Grandmother and friend who will be missed. A funeral Mass will be held at St. Gilbert’s Catholic Church Chapel, 301 E. Belvidere Rd, Grayslake, IL on Saturday, April 28, 2018 at 10:00am. In lieu of flowers, please make a donation to the charity of your choice. Sharon Jane Lloyd (Suits) born October 4, 1946 to Earl A. and Esther Suits passed away April 16, 2018 from Leukemia. Raised in Morrisville, NY. with her brother Merton (deceased) (Priscilla) and Carolyn (James) Sterle. Married to Donald A. Lloyd II for 50 wonderful years during which they raised three great children in Grayslake, IL; Donald A. (Theresa), Travis E. (Shannon), and Allison M. Wisniewski (Kenneth) and blessed with eight grandchildren; Donald A., Katherine M. Barton (John), Morgan A., Connor L. Wisniewski, Abby G. Wisniewski, Emily L. Wisniewski, Travis E. II, Autumn R. and one great grandchild William S. Barton. She was especially close to her niece Pamela DeLucia (Dan). Sharon graduated from SUNY Morrisville with a degree in business. After raising her family she worked at school district 128 in a support staff role retiring in 2009. She was always positive and enjoying life, family, and cherished friends in New York, Georgia, Illinois and Florida. She enjoyed spending the winter at her home in Florida. Even though she suffered the effects of cancer from 30 years ago, CIDP over the last 5 years and Leukemia she remained active and never stopped enjoying family and friends up until the last hours before death. Always concerned about others, we are better for having her in our lives. A visitation will be held on Friday, April 27, 2018 from 4:00pm until 8:00pm at Strang Funeral Chapel & Crematorium 410 E. Belvidere Rd. Grayslake, IL 60030. A memorial service will be held at St. Andrew Episcopal Church, 31 Park Avenue, Grayslake, IL 60030 on Saturday, April 28, 2018 at 11am. Interment will be held privately.